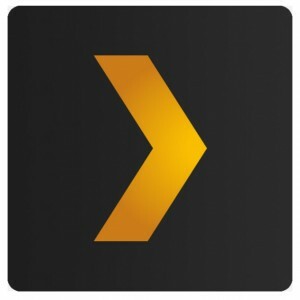 The latest version of the Plex app (v. 4.26.2.654) for Amazon devices has been released with support for more video formats including VC1 playback in the MKV container and direct playback of MOV files. The update also adds support for 16-bit PCM audio in MKV files. Specifically for Amazon’s Fire TV, the update has added cloud sync server support and mobile server support, as well as the ability to enable the Clock. There’s also a list of fixes for the Plex app for Amazon devices including updating track info in the audio player when playing synched content, a bug was fixed where adding a track to the playlist would add the entire album, and fixed a bug that would crash the audio player when the “Previous” button was pressed. – Add support for VC1 playback in MKV, for devices which support it. – Add support for 16-bit PCM playback in MKV. – Add support for direct playing MOV. – Allow anamorphic video to be remuxed. – Post-play screen following video playback. – Add Rotten Tomatoes reviews to movie preplay screen. – Show currently playing item in new embedded mini-player (mobile only). – [Fire TV] Cloud sync server support. – [Fire TV] Mobile server support. – [Fire TV] Clock (can be enabled in Settings < Main). – Correctly update track information in audio player when playing synced content. – Improve reliability of refresh rate switching when preference enabled. – Don’t display “Headphones Disconnected” when playing a video and switching refresh rate. – Fix bug where adding a track to a playlist would add the entire album. – Improve video player buffer calculation to reduce buffering and issues where video wouldn’t restart. – Improve reliability of remote control. – Fix bug where audio playback didn’t resume from current offset after disconnecting from a remote player. – Fix bug where “Previous” button in audio player could crash the app. – Try (again) to fix issue where playing a synced video would sometimes result in a crash. – Fix cells not being cleared during fast scrolls. – Fix bug where relayed connections wouldn’t work when application was launched after a fresh install. – [Fire TV] Various bug fixes and improvements.